Brazil is one of the main users of chemical pesticides in the world. These products threaten human and environmental health, and many of them are prohibited in countries other than Brazil. This paradigm exists in contrast with worldwide efforts to make the need for food production compatible with biodiversity conservation, preservation of ecosystem services, and human health. In this scenario, the development of sustainable methods for crop production and pest management such as organic agriculture and biological control are necessary. Herein, we describe how the process of registration of natural enemy–based products in organic agriculture is simpler and faster than the conventional route of chemical insecticides and can favor the development of the biological control market in Brazil. Since the regulatory mechanisms have been established in Brazil for organic agriculture, the number of biological control products registered has increased exponentially. Today, 50 companies and associations are marketing 16 species/isolates and 95 natural enemy–based products. Although this scenario presents a series of new opportunities to increase and stimulate a more sustainable agriculture in the country, biological control is not always aligned with the aims and philosophy of organic agriculture and agroecology. 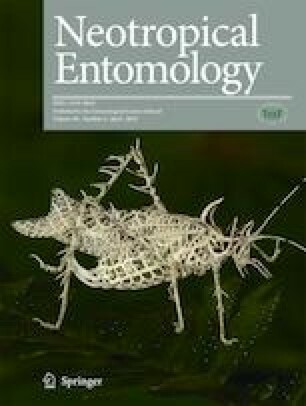 Therefore, we also argue that new research efforts are needed on understanding how conservation biological control strategies can be integrated with augmentation biological control to promote a sustainable agriculture under the concepts of organic agriculture and agroecology. PHBT, ACGL, ERS, and MV conceived the study. PHBT and ACGL collected the data and analyzed the data. PHBT, ERS, and MV carried out the legislation survey. PHBT led the writing of the manuscript. All authors contributed critically to the drafts and gave approval for the final version. This study was supported by research grants and fellowships to the authors from the Conselho Nacional de Desenvolvimento Científico e Tecnológico (CNPq) and Coordenação de Aperfeiçoamento de Pessoal de Nível Superior (CAPES).